Home » Xebex Air Rower Review — Heavy Duty Performance from Get RXd? 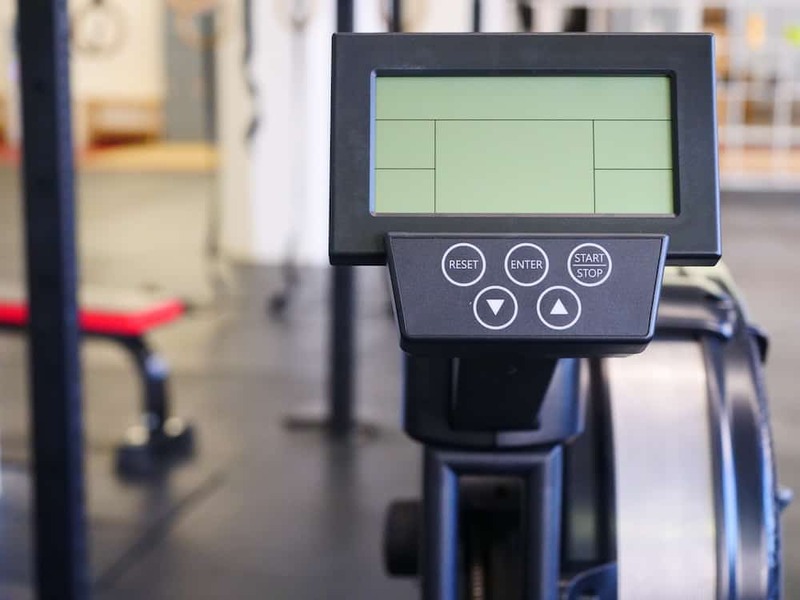 Due to the growing popularity of CrossFit, rowing-themed gyms, and HIIT training, there is now a wide selection of rowing machines to choose from when you want to take your training to the next level. Whether you are rowing on the machine to gain fitness, to move a boat faster across the water, or to increase your cardio and strength base to perform well in another sport, rowing is a fantastic full body workout that is low-impact, time efficient, and relatively easy to pick up. While there are many different types of rowing machines on the market, this review will focus on the Xebex Air Rower 2.0 (though we’ll also be discussing details of the Xebex Air Rower 3.0 in case you’re interested in learning more about that model). The Xebex Air rower is manufactured by Get RXd, a company based in Houston, Texas, and is generally known for being a robust, durable rower that can accommodate a variety of athlete sizes and deal with frequent and even commercial use. 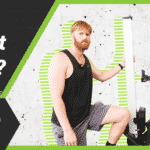 Get RXd has a 30 year history in the fitness industry creating products ranging from gymnastics equipment, stretching bands, squat racks, fully adjustable pull-up stations as well as cardio equipment such as air bikes and rowing machines. They are a family owned business that pride themselves on quality and service, and their products don’t disappoint. Their air bikes and rowers are designed for commercial-level use at competitive prices. Is the Xebex Air Rower right for you? And how does it compare to other popular models on the market? Read on for our full review to find out! Shop the Get RXd Xebex Air Rower 2.0. Before discussing sizing in-depth, I want to note that the Xebex Air Rower models 2.0 and 3.0 are very similar in size, with the main difference being that the rail sits lower on the 3.0, though the seats are the same height; this is accomplished by the 3.0’s seat having a longer “neck” that extends up from the rail. We’ve also included a size, weight, and dimensions summary chart for both models at the end of this section. According to the manufacturer Get RXd, when laid out in rowing position the Air Rower measures 7’3″ from the Front Stabilizer to the Rear Stabilizer, 8’4″ from the Fan to the Rail, and the rower is 20″ wide. When we measured the Xebex Air Rower ourselves, we found these dimensions to be pretty accurate. This is the same footprint that all other rowers require and so is nothing out of the ordinary. Most gyms that I have been to that have rowing machines will have 2-3 rowers in a space roughly ten feet long by 6 feet across. The Xebex Air Rower 2.0 folds up for storage and easy movement. In the folded position, it measures 36” (3 feet) by 20” by 55”. The shipping dimensions for both models are 58” by 26” by 15”. The shipping weight for both the 2.0 and 3.0 models is 110 pounds. The Xebex rowers themselves weigh 95 pounds, making them among the heaviest air rower models I’ve tried in my career. This weight is a result of durable build quality, however it does mean these rowers can be more difficult to move on uneven surfaces, up stairs, or in any environment where they can’t be rolled across a flat surface. 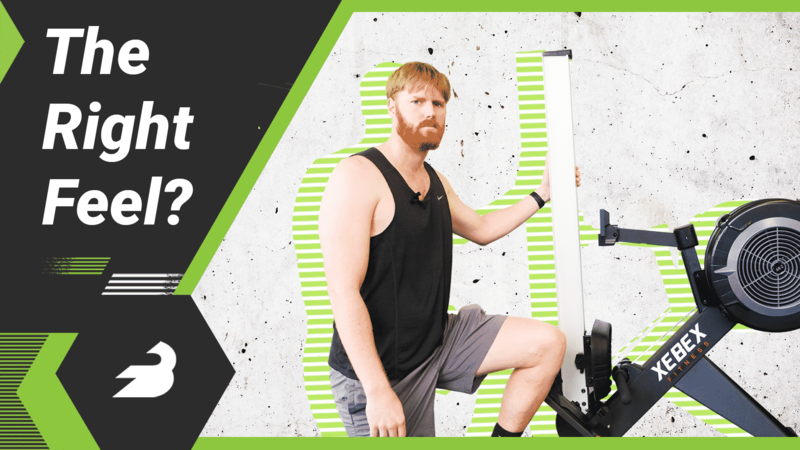 If you need to physically pick up a Xebex Air Rower, you’re likely going to need more than one person. I’ll say this right off the bat: Xebex rower feels like a very durable machine. Weighing almost 100 pounds and made of steel and hardened plastic, this is not a flimsy workout toy, and from the moment I started assembling it, I could tell it was built to last. I have tested out many different rowing machines and usually for the same price range as the Xebex, and many other machines are less well-built. 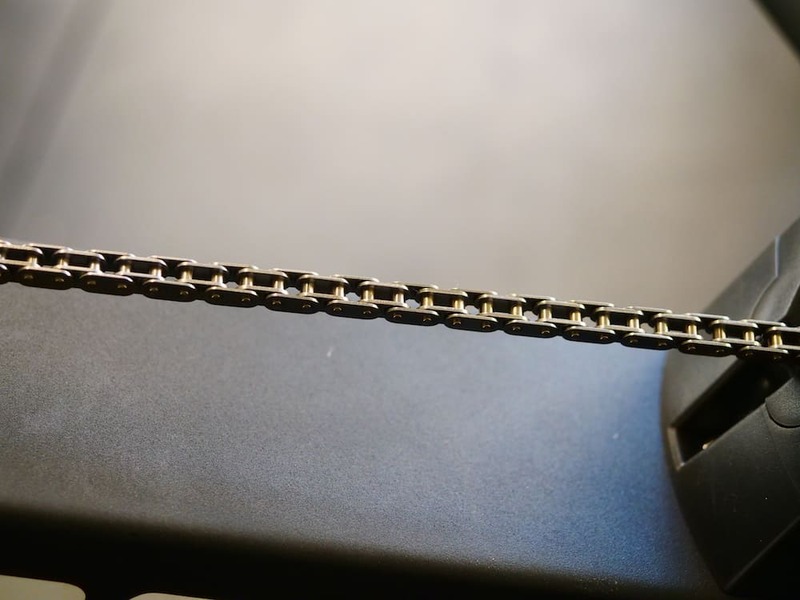 They may have a rubber cord in place of the chain (Xebex uses a stainless steel chain), or cheap plastic parts that can break with only a modest amount of use. Get RXd took the time and attention to fortify any potential weak areas of the machine. The Air Rower 2.0 and 3.0 has a sturdy frame with a weight limit of up to 500 lbs and was tested for durability by withstanding 1,000,000 pulls from extra strength robotic arms without failure. Whether you are a bodybuilder looking for some extra conditioning or simply a person looking to shed weight and gain fitness, the Xebex rower is a tool capable withstanding daily use. On top of its durability, the Xebex rower has very few maintenance requirements. The only real maintenance that is needed with a metal-chain rowing machine such as the Xebex rower involves putting oil on the chain once every 2-3 months. 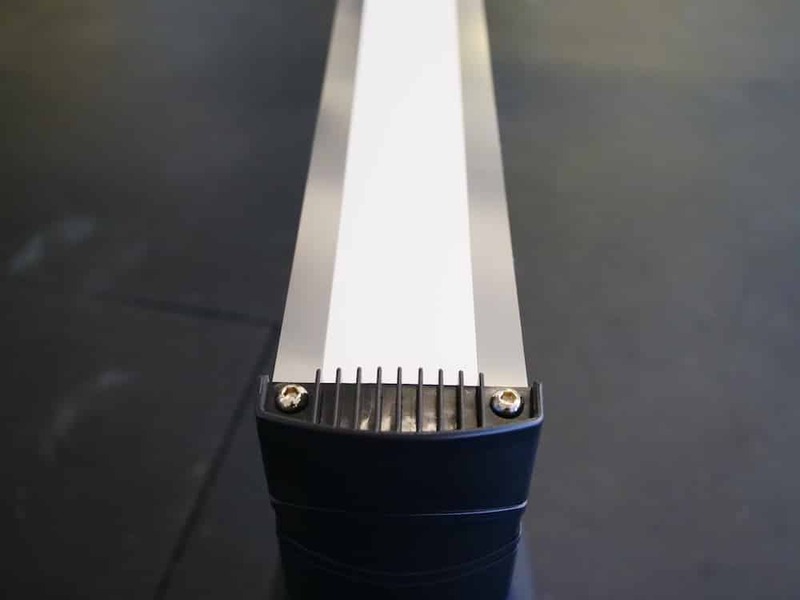 This will take you 10 minutes or less and will keep the Xebex rower running smooth for years. On top of the durable construction, Get Rxd currently features a 5 year warranty on the frame as well as a 2 year warranty on parts and console. Overall, I’d place the Xebex rowers among the most durable I’ve ever tested in well over a decade of rowing. The Xebex machine needs to be assembled out of the box, but it is a relatively straightforward process. We found it took a team of two about 30 minutes to assemble, which is on the longer end for rower models that can be shipped to your door; however, the build itself was not overly complicated when following instructions provided. The tools required to set up the machine are 3 different sized allen wrenches, a Phillips head screwdriver, and a small wrench. The tools are all packaged together and are included in the box along with batteries and an instruction manual. The instruction manual features easy to read pictures and text and makes the set-up process very simple. One thing I really like about the Xebex Air Rower is how carefully it is shipped. Any larger parts that may touch during the shipping process are wrapped up with cardboard and foam so you receive the machine in great condition. You don’t have to worry about opening up the box and finding wear to the machine before you have even used it. We saw no scratches or scrapes on any of the parts. 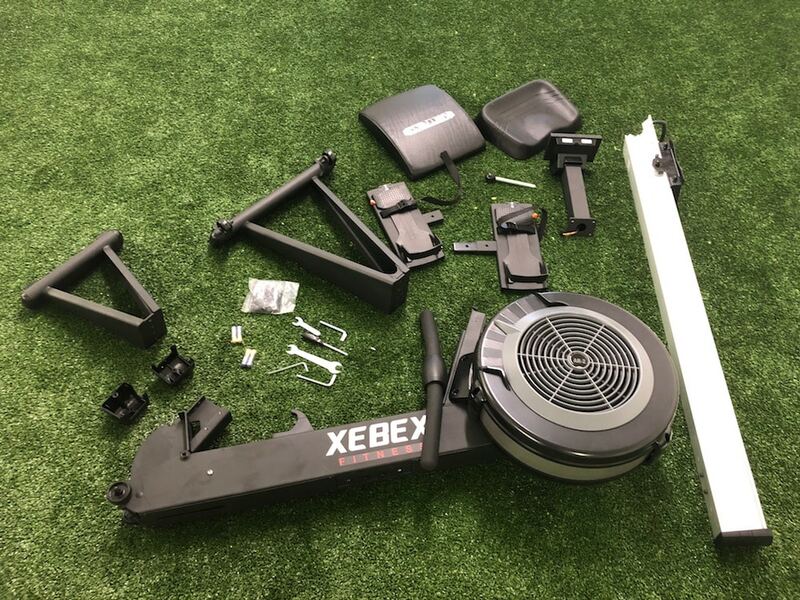 If you are assembling the Xebex rower by yourself, I would expect it to take a little under an hour if you are taking your time and moving slowly. If you have a friend to help and an extra set of tools it will be closer to 20-25 minutes. Now I’d like to dig into the special features of the Xebex Air Rower 2.0 that make it a unique machine to own: its ability to fold in half for storage and transport. The air rower features a solidly built handle on the top of the machine near the footrests and a metal pin on the underside of the machine that, when pulled, unlocks the machine so you can lift the back end of the machine up until it clicks into place vertically. It can then roll smoothly on four wheels without having to lift one end of the machine. This saves you a few feet of horizontal space, but more importantly means that you can fold up and maneuver the machine in a low ceiling room or garage. 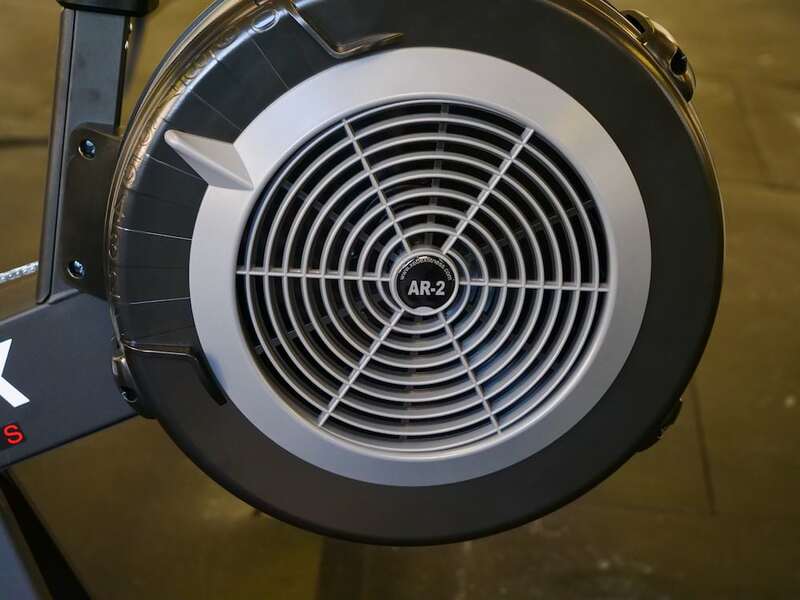 Note that this is only a feature on the Xebex Air Rower 2.0; the 3.0 has a more traditional design that tilts up and rolls on two wheels located beneath the fan casing. Most rowers simply stand up vertically for storage, which can be useful but does require having 7 feet of ceiling height. Therefore the Xebex 2.0 rower has a big advantage in at home work-out spaces that have low ceilings such as basements or garages. While it is folded up for storage it features two sets of wheels for maneuvering the machine. This is another handy feature of the Xebex rower that sets it apart from other options. Despite weighing nearly 100 lbs the machine is quiet movable, so long as you don’t need to lift it up a flight of stairs. If you have ever tried to move a treadmill or elliptical, you will be pleasantly surprised at how easy the Xebex 2.0 is to move. There are only three areas of the body that touch the rowing machine: the feet, the seat, and the handle. I’d like to dig into further detail on the user experience with each of these parts to the Xebex. While they’re very similar in construction, the Xebex Air Rower 2.0 and 3.0 differ on a few relatively minor points when it comes to the seat and foot pedals. Let’s start with the handle. The handle has a comfortable grip and has enough texture to prevent slipping when rowing at high intensities. I found the width of the handle to be very comfortable and easy to grip. I have worked with rowers that have handles that are very thick and difficult to grip, like holding on to a can of soda. The muscles in your hands can fatigue quickly and be a limiting factor to your rowing when the handle is too thick, so it’s nice to see that the Xebex rower has a handle width designed for comfort. The shape of the handle is also an important factor. The handle to the Xebex rower has a slight bend in it on each end, which means you can keep your wrists straight as you bring the handle in towards your chest. If the handle was a straight bar then you would be tempted to either end the stroke before your chest or your wrists would bend during the finish of the stroke. One aspect of the handle that I am not a big fan of is the connection point between the handle and the chain. They have added a piece of plastic that wraps around the handle that is approximately 1 centimeter in depth that houses the connection. As I describe in the video review, I found this piece to occasionally “catch” on the chain during the first pull at very high intensities, which made an unpleasant chattering sound. It’s not a deal breaker by any means, and after the first stroke or two the problem tended not to recur, but it was something that I wanted to note about beginning strokes with high intensity and force on this rower. Having tested many types of rowers, I think the comfort of the seat is a big factor to consider. Many seats can be uncomfortable, requiring an additional seat pad for extended sessions. This is not the case with the Xebex rower. The seat has a very comfortable molded design that has raised edges that help keep the user planted firm and not sliding off the back when adding power from the lower body. The seat is made of thick foam padding that is, in my opinion, a great blend of comfort and firmness that encourages the user to spend a few extra minutes working out. The rail that the seat slides over has a slight downgrade towards the machine so that when you hop off the machine (when doing circuits for example) the seat will slowly return to the starting. The seat is also around 21 inches off of the ground, which is higher than most rowers. This is helpful for rowers with limited mobility, larger athletes, and those who have lost some balance and have difficulty getting down onto a sliding seat. It’s worth noting that while the Air Rower 2.0 and 3.0 have the same seat height, the rail on the 3.0 is lower, making it easier to step over. The seat on the 3.0 model simply has a longer “neck” that extends upwards to reach the same seat height relative to the ground. The last area of the machine that the user makes contact with on every stroke is the foot pedals (sometimes known as footrests in rowing circles). 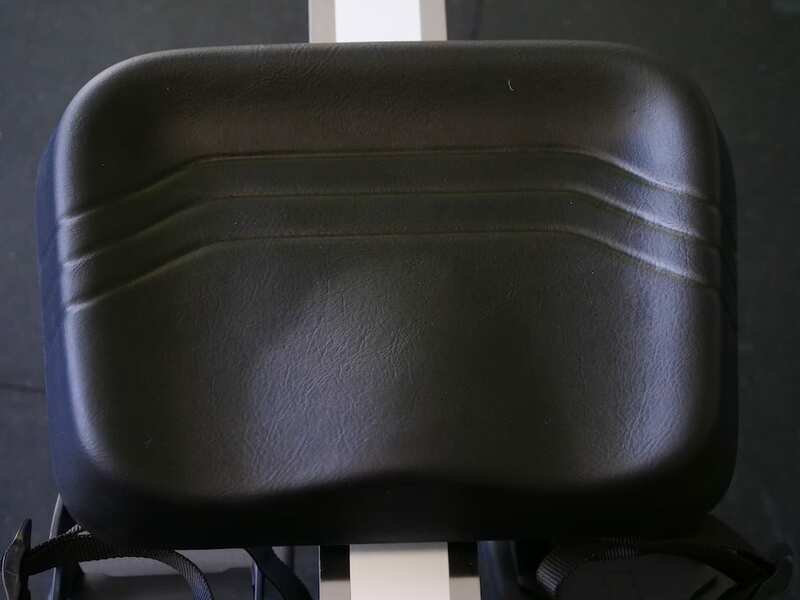 The base of the footrests on the Xebex Air Rower is made of heavy-duty steel, so no matter how hard you push off during the stroke it is very secure. On top of the base is a hardened plastic layer with a heel-cap that pivots up when you approach the front of the slide. Each footrest also has a nylon strap that is easily tightened to secure your foot into place. So far all of these features to the foot rests are fairly standard to more expensive rowing machines on the market, but are all great features for the Xebex rower. Most rowing machines also have a way to adjust the height of the footrests so that users with different sizes feet can maintain a comfortable position while rowing. What separates the Air Rowing 2.0 from some competitors is the ease and clarity in which this adjustment can be made. There is an easy to see orange tab on the side of the foot rests that you hold down and slide the top layer up and down until it clicks into place. For those novice rowers, it is a very easy system that makes it clear when you have the right setting. 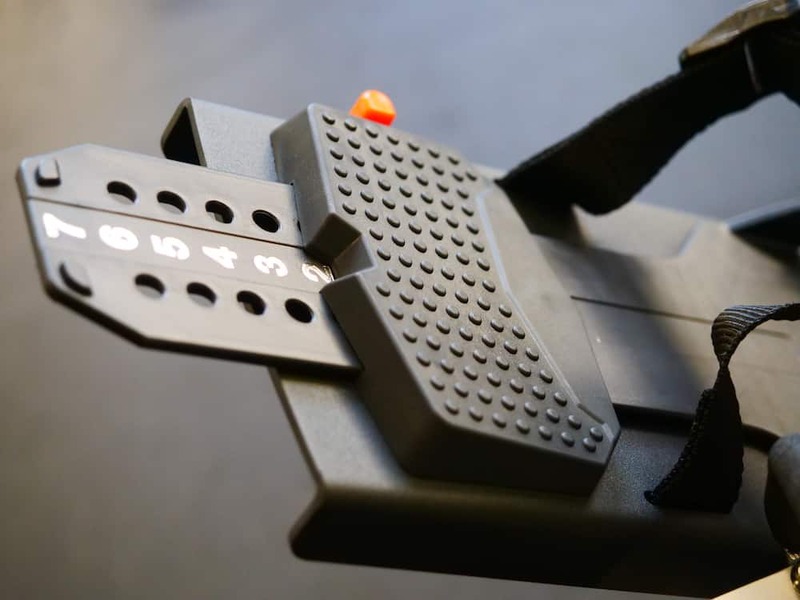 One other difference between the Xebex Air Rower 2.0 and 3.0 is that the foot pedals on the 3.0 model have 3 different positions to choose from for foot width, whereas the 2.0 can only be adjusted length-wise. The Xebex Air Rower 2.0 features an LCD display to keep track of Distance, Time, Watts, Calories, Heart Rate (via external attachment), and Strokes Per Minute, and Stroke Distance. Heart rate monitoring can be done with an external device operating on 5k frequency. The monitor also comes with several pre-set rowing programs (listed below). The monitor is powered via batteries (not included). While the console on the model 2.0 is not backlit, the version on the 3.0 does feature a backlight and is also generator-powered to help supplement and extend the battery life. Like most other rowers on the market, you can program the Xebex’s monitor for parameters like a particular distance, a set number of calories, and also your pace relative to 500 meter intervals. I found it relatively easy to program, and the monitor will also start tracking automatically if you simply start rowing. Xebex uses their own formulas to determine metrics like calories and distance. This formula is different enough to make it almost impossible to compare to similar data points on competitors, like the Concept2. This means your results and time for, say, a 2,000 meter row on the Xebex Air Rower will be different than on a Concept2. 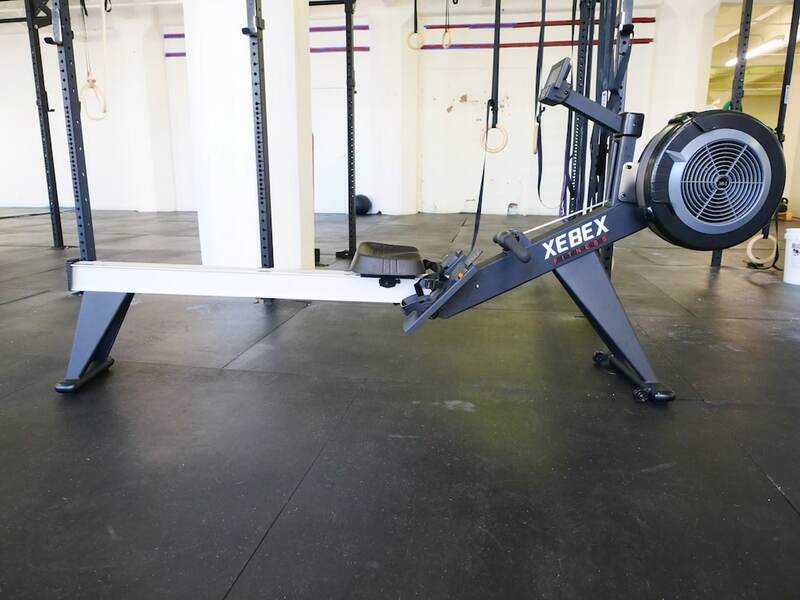 This difference has created some controversy in the functional fitness community, and during the 2018 CrossFit Open, organizers determined the Xebex Rower 1.0 was no longer eligible for competition use in that event. Get RXd has told us they’ve sent their updated models to CrossFit for testing and potential approval in future competitions. Pre-set programs include: Pre Quick Start, Competition Racing, Interval/Tabata, Target Time, Target Distance, Target Calories, Target Strokes, and Target Heart Rate. Xebex’s monitor previously did not include anything like the popular Force Curve feature that some other indoor rowers have, however the display on models 2.0 and 3.0 currently come with this feature. I didn’t find any particular durability issues in my tests with the Xebex Air Rower monitor. However, as it’s one of the parts on the rower with a plastic housing, it may prove less durable to bumps and damage than other parts of the rower. Of course, this is true of practically every indoor air rower on the market today! All of the above features to the Xebex rower don’t mean anything if they don’t translate to a good feel while rowing on the machine. When you push down with your legs and draw through with your body and arms, you want to feel a strong and direct connection to the flywheel. I tested the Xebex rower for a long and steady workout and had a great experience, one I’d call slightly above par for air rowers. It felt direct and sturdy. The pickup of the flywheel — which operates solely on air resistance — is smooth and steady through its full range of motion. The row felt very similar to the way a Concept2 rower feels during low to medium intensity rowing. The thick foam padding on the seat was also noticeable and made for a comfortable workout. Overall, I think the Xebex Air Rower is a good call for longer, steady-state rowing workouts, and the additional comfort features in the handle and seat — along with smooth sliding action on the rail — are well-suited for this type of workout. When you’ve had enough low intensity cardio work and want to turn on the afterburners and do some all out sprints, the Xebex rower is definitely sturdy enough. From a structural standpoint it has a sturdy base of support and feels stable when pushing with maximum power. When it comes to the handle and chain connection, the rower performed well at lower intensities but occasionally faltered at the higher cadence and power. When I suddenly switched to full power the handle would make a snapping sound and click at each front end of the first intense stroke. The quality of material is strong and so I am not worried that the handle would snap off, but some small piece of plastic attached to the handle must be catching with the chain. In all fairness, when I started my leg push a little softer and worked on accelerating the handle towards my body instead of jerking the handle at the front end, the clicking went away and the row felt connected and strong. If you are a new rower and looking to hop on a rowing machine and do short powerful intervals, then the Xebex rower will take a little time to get used to the clicking. Once you spend a few sessions on the machine the problem does go away with a small change in technique that will ultimately be better for your body anyway. Both models feature the same warranty from Get RXd: 5 years for the rower’s frame, and 2 years for non-wear parts. There are several pros to purchasing the Xebex rower over other machines on the market. One of the most important is the durable construction. As mentioned above the machine weighs almost 100 pounds and is made of steel and hardened plastic. My first impression: It is a tank. The model 2.0 also folds in half for storage and transport. I liked how solid the unit snapped into place when folded in half and featured two sets of wheels so you do not need to lift up half the machine to move it. While the 3.0 doesn’t have those features, it feels equally durable. Xebex’s rower also featured some fantastic details for comfortable rowing, especially in longer workouts: the handle, foot pedals/footrests, and seat are all very well-designed and among the most comfortable I’ve ever used. Lastly, as another sign that Get RX’d has manufactured a well-built machine, they offer a great warranty on the machine. There is a 5 year warranty on the frame and 2 year warranty on non wear parts. There are a few aspects of these rowers that may less than ideal for some consumers The biggest one I found was the way the handle clicked at the higher rowing intensities. This should not be a deal breaker because as mentioned above this problem will gradually go away as you adjust to the connection, but it is worth mentioning. Although this has been a pro listed above, a potential downside to a commercial quality machine is the heavy weight of the rower if you need to move it up a flight of stairs or transport the machine by car or truck. With the double set of wheels on the bottom of the 2.0 you can easily slide the machine around on a single level, but when the terrain is uneven or stairs are involved, a second person is needed for both the 2.0 and 3.0 models. The last potentially negative aspect that I found is one that would be difficult for the company to avoid: their proprietary formulas to calculate data on the monitor. Get RXd uses a different formula for calculating their performance metrics than other brands, like Concept2, so you could give the same output on the Xebex and Concept2 rowers and get two different results. The different may only matter if you are attempting to break a world record or are competing in events where a different formula is standardized. Who Is This Rower Good For? If the reason you are buying a rower is to get a great workout in without the wear and tear that can come from other cardio exercises such as running, then the Xebex Air Rower should be at or near the top of the list. 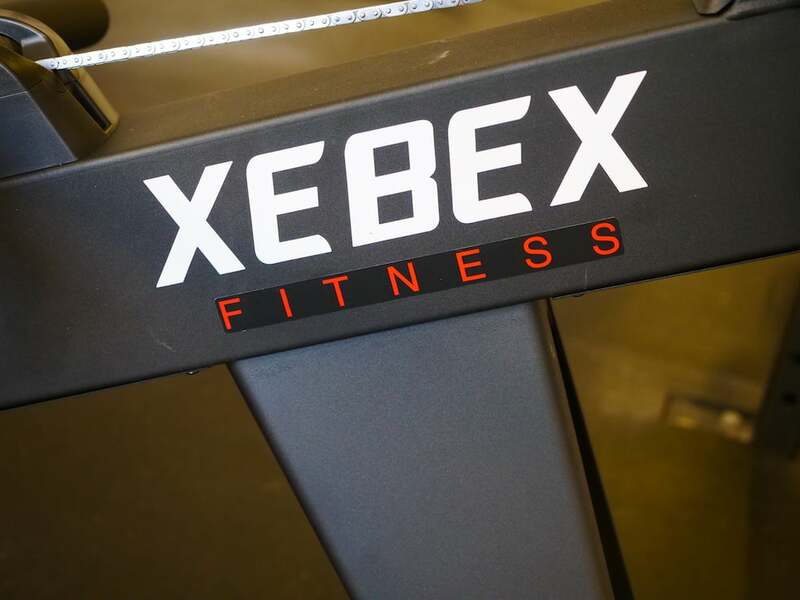 Due to the machine’s fair price for its robust features and durable construction, the Xebex rower is a great addition to any home gym as well as commercial gym space. The high height of the seat is also great for those with bad knees who have trouble sitting down in a low chair. It’s been tested with users up to 500 pounds in body weight, so it’s also good for larger athletes. I would also suggest the Xebex rower for the beginner to intermediate skill level rower. I think it is a potentially great option for someone that wants a durable machine that they (or their gym clients) can abuse for millions of strokes and still function like new.